MUMBAI: Mrunal and Radhika are two actresses who came from the television world to make a career in Bollywood. Mrunal rose to fame with her performance as Bulbul in Zee TV’s Kumkum Bhagya, and Radhika earned fame for her performance as Ishani in Meri Aashiqui Tum Se Hi. The two then went on to try their luck in Bollywood. They debuted in movies that were critically acclaimed but unfortunately bombed at the box office. 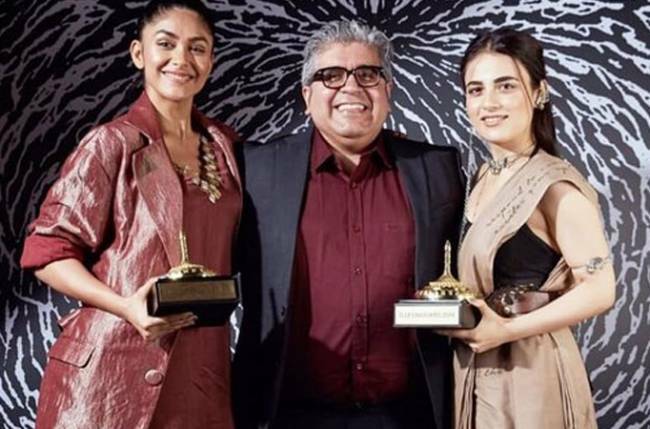 Mrunal was praised in Love Sonia, and Radhika debuted in Pataakha. They won a lot of appreciation, accolades, and awards for their performances from the audience and critics. Recently, they won the Best Debutante Award at ELLE Graduates 2019. Journalist Rajeev Masand presented them with the awards.